Currently attending Montmorency college. Goes by several nicknames, including Gabby, Gab, Gabry, Page. Enjoys running, cooking and reading. Favorite movie of all time is The Pursuit of Happiness and role model is former NFL linebacker Ray Lewis. Before each competition her ritual includes “eating pasta the night before and waking up with a smile!”. Hopes to one day work in astronomy. 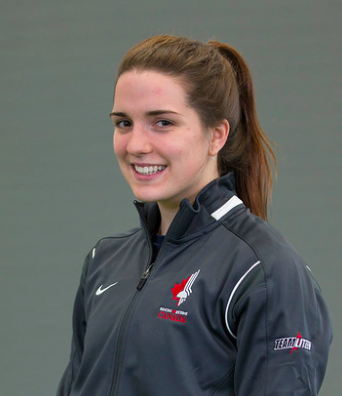 Career highlights include a 3rd place finish at the 2013 Canada Cup, a 4th place finish at the Cadet/Junior world championships in 2014, and a bronze medal in individual women’s sabre at the 2015 Pan Am Games.